On Eastbourne pier with the Global Warming Timetable during the ‘Don’t Miss the Bus on Climate Change’ bus tour of East Sussex, Saturday 23 September 2017. 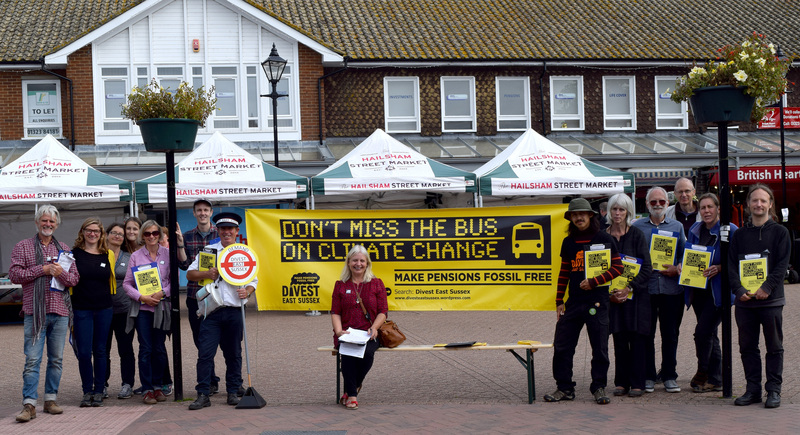 Gathering signatures for the Divest East Sussex petition outside the de la Warr Pavilion during the ‘Don’t miss the bus on climate change’ bus tour of East Sussex, Saturday 23 September 2017. 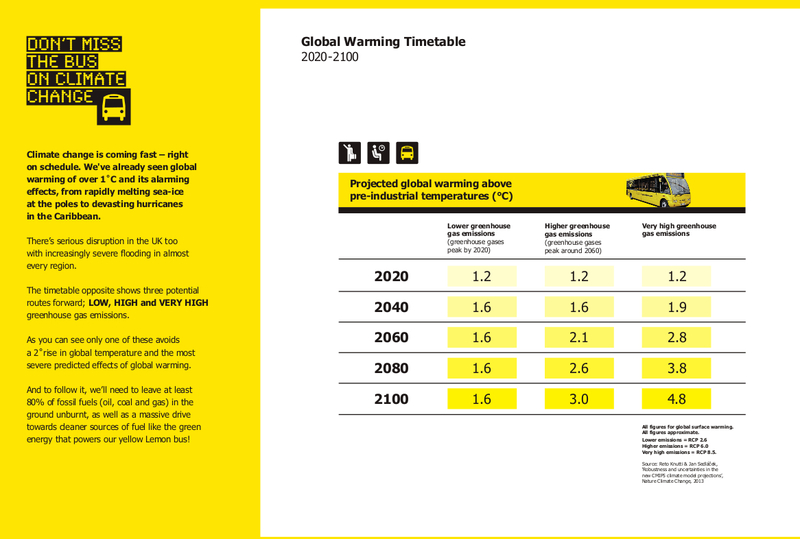 Don’t miss the bus on climate change! Campaigners about to set off from Hastings pier on the ‘Make pensions fossil free’ bus tour of East Sussex, Saturday 23 September 2017. 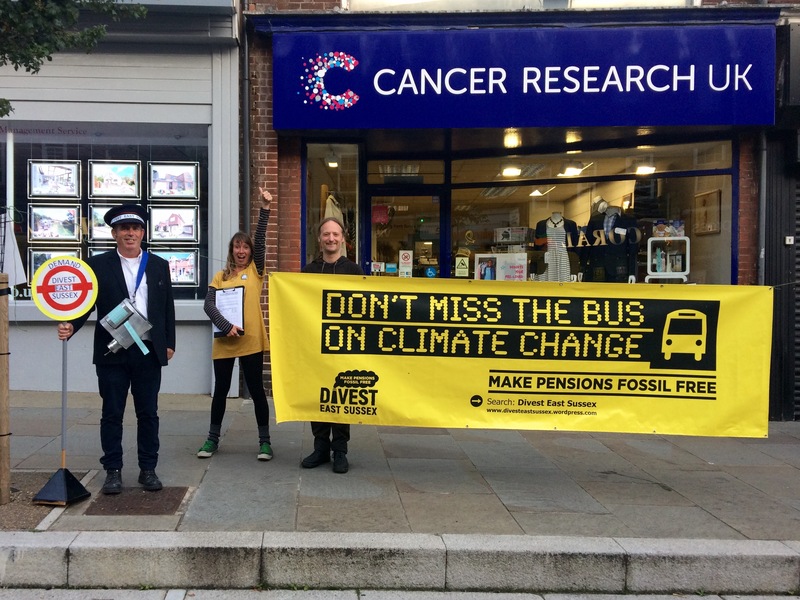 Collecting signatures in Hastings for the Divest East Sussex petition during the ‘Don’t Miss the Bus on Climate Change’ bus tour, Saturday 23 September 2017.